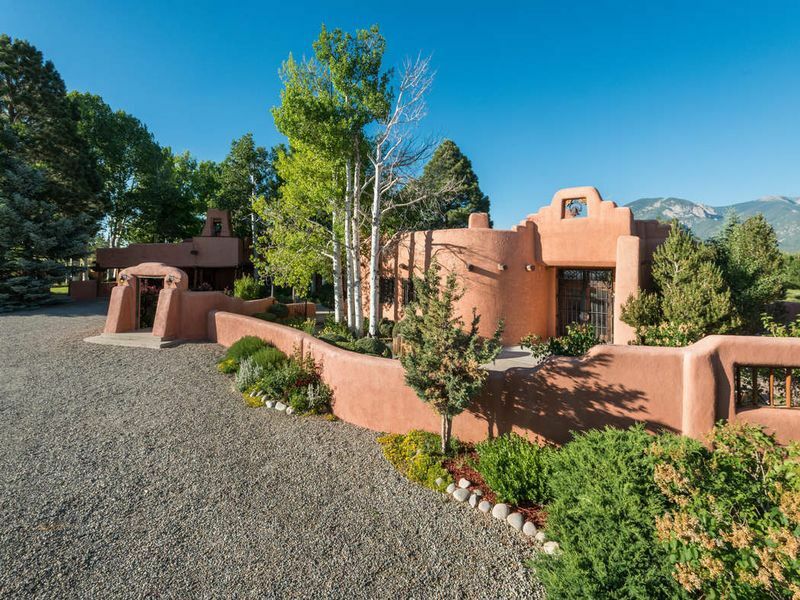 This modern adobe estate is known, appropriately, as El Cielo Grande, or the Great Sky of Taos. Nature meets shelter under the endless desert sky. Artists have known it for over a century: Taos, New Mexico inspires deep creativity. Seeded by artists like Georgia O’Keefe and Ansel Adams, creativity has grown into a trademark Taos feature, with over 80 galleries and museums for a town of just 6,000 people. What is it about this town that makes it such a fertile place for the imagination? It could be its longevity. After all, Taos is the oldest continually-inhabited town in the United States, with the Taos Pueblo having been built between 1000 and 1450 A.D. The Taos Pueblo buildings are the oldest continually inhabited community in the country. Or perhaps it’s the singular natural settings. In Northern New Mexico, the jagged edges of the Sangre de Cristo Mountains push up right into the wide open space of the desert. 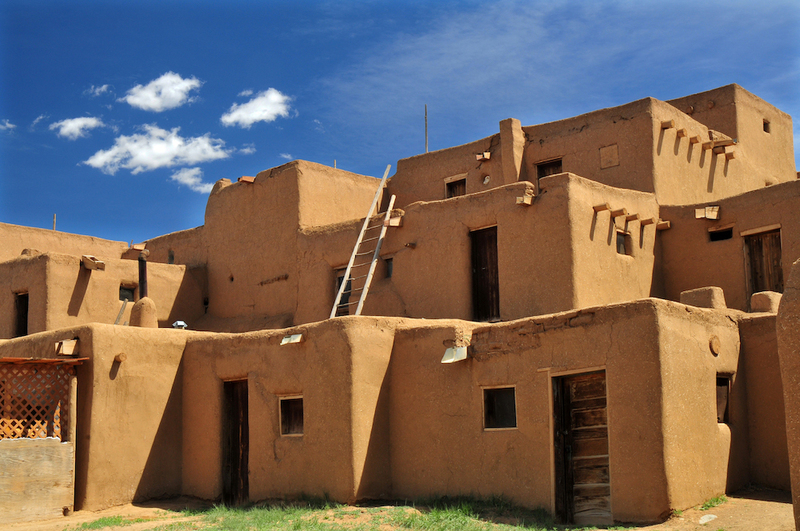 Ultimately, it’s likely some combination of the two, as the soft, rounded edges of pueblo-style architecture contrast with the mountains and deserts in a uniquely “Taos” way. 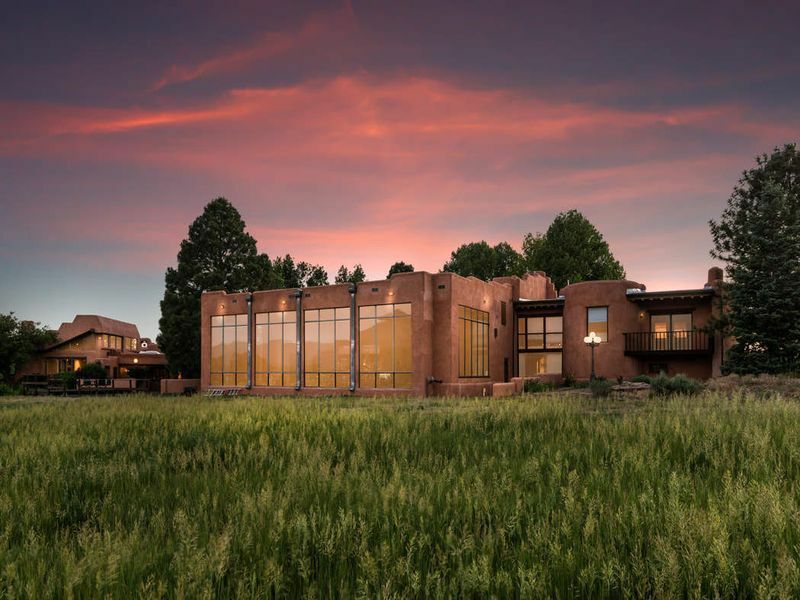 After passing through the front gates, you’ll be welcomed by aspen trees and wildflowers, the lush native plantings creating an oasis-feeling in the New Mexico desert. Pueblo architecture isn’t limited to downtown Taos or the Taos Pueblo. Drive out of town and you’ll pass the country first “Earthship”— a 1970s-style sustainable architecture known for its use of “passive” solar energy — ever built. And you’ll soon you’ll arrive at the El Cielo Grande estate. 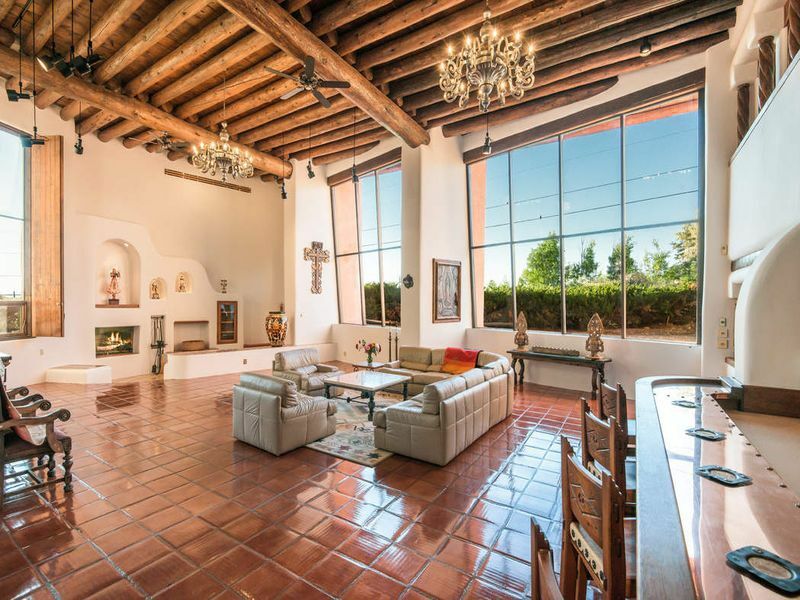 Breathtaking inside and out, the sprawling 15,000-square-foot home pays homage to the nearby Taos Pueblo with its stucco exterior and adobe-inspired architecture. One of El Grande Cielo’s great rooms. Bedrooms overlook this central gathering space. With an open-concept floorplan, this $2.8 million authentic hacienda is made for large family gatherings or quiet times spent daydreaming or relaxing. 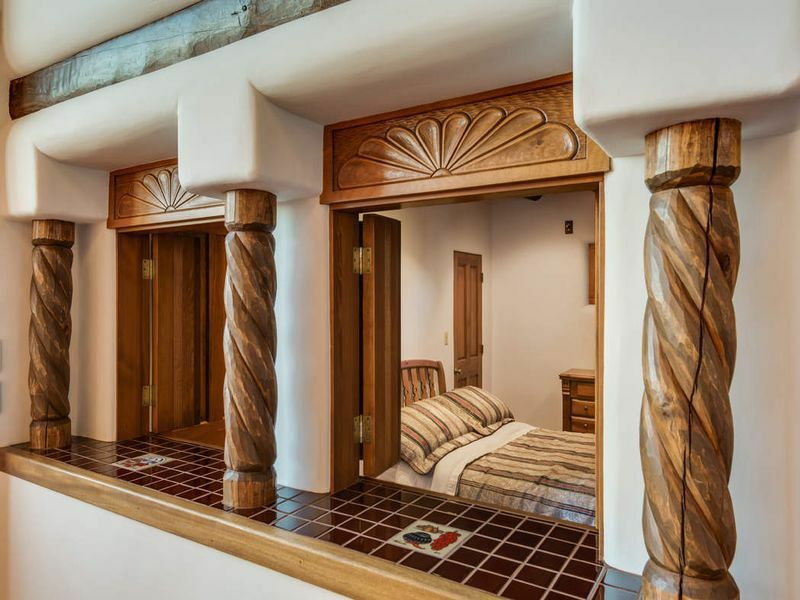 Unique architectural details like exposed wood beams and carved wood accents echo the natural world of Taos. Two or three of the 8 bedrooms have windows opening onto large common space. Terracotta and painted Spanish tiles connect the house to the Taos’ pueblo history. 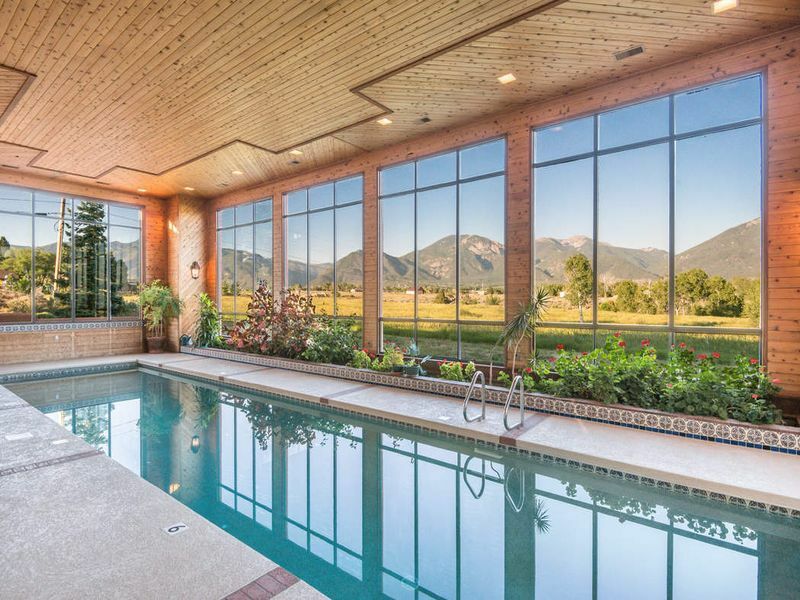 New Mexico’s warm desert light shines in on its indoor heated pool where floor-to-ceiling windows offer unparalleled views of the Sangre de Cristo mountain range. 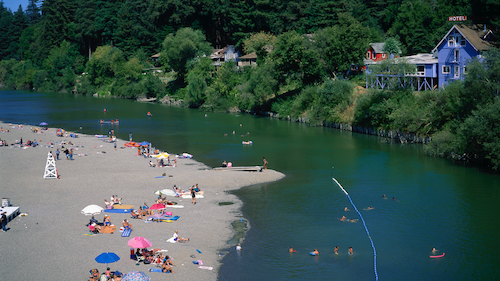 After a day of skiing or horseback riding, the rec room offers the chance to unwind with a dip in the pool or hot tub. Two separate wings, each with their own full kitchen, are filled with space for gregarious gatherings or quiet solitude. Built with entertaining in mind, this estate welcomes life and activity. 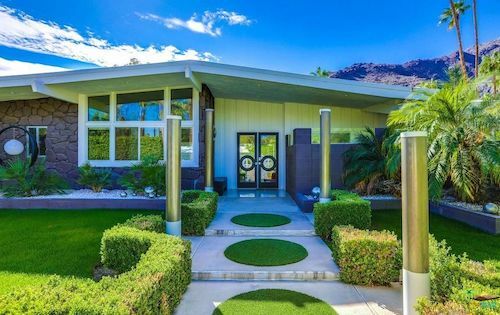 While this estate has a hefty price tag, there’s no shortage of more affordable options in the area. 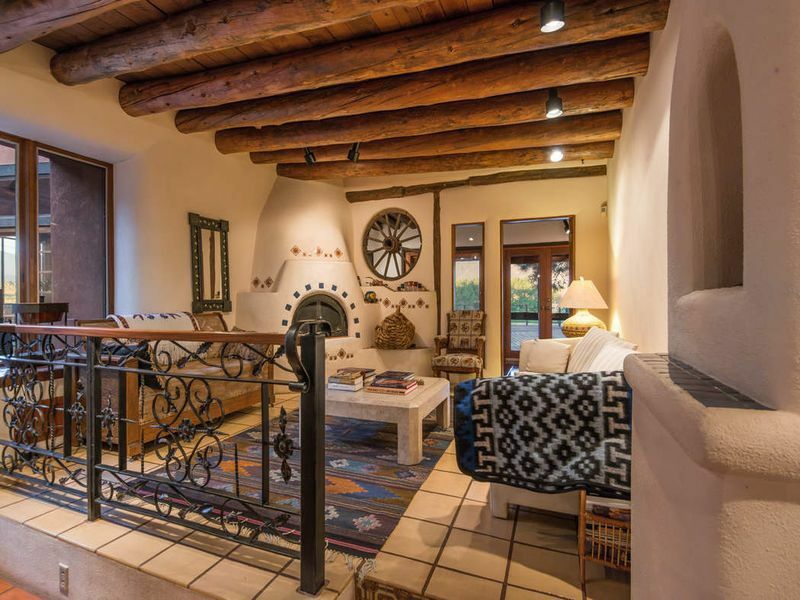 Just 10 minutes southwest from Taos is the little town of Ranchos de Taos where you can find homes like this three-bedroom, two-bath home for just $335K or this historic adobe for $465,000. Have you ever been to Taos? Share your experience in the comments below. 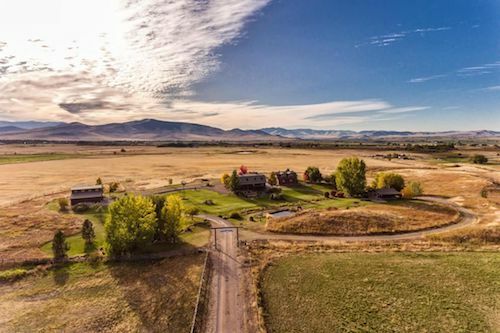 Life is simple and surreal at this pioneering ranch in rural Montana. 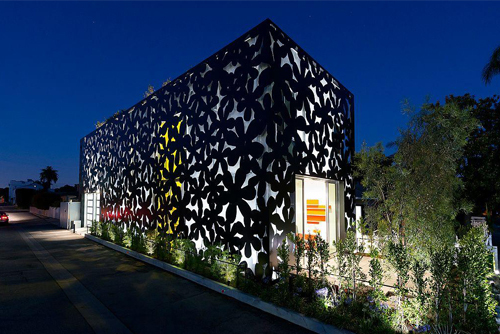 A boutique home, built to Green Standards, puts a smile on the faces of residents in this artist enclave.